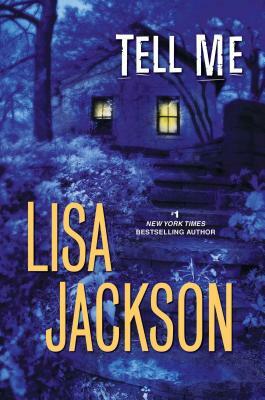 #1 New York Times bestselling author Lisa Jackson creates her most electrifying thriller to date, as a mother's unspeakable crime sparks a new killing spree. . . The most hated woman in Savannah, Georgia, is about to be set free. Twenty years ago, Blondell O'Henry was convicted of murdering her eldest daughter and wounding her two other children. The prosecution argued that beautiful, selfish Blondell wanted to be rid of them to be with her lover. Now Blondell's son, Niall, has recanted his testimony and demolished the case in the process. Reporter Nikki Gillette is determined to get the true story, and not just for professional reasons. Blondell's murdered daughter, Amity, was Nikki's childhood friend. The night she died, Amity begged Nikki to meet with her, insisting she had a secret to tell, but Nikki didn't go. Her guilt is compounded by other complications--Nikki's favorite uncle, Alexander, was the attorney who helped save Blondell from execution. And rumors swirl that he was one of her many lovers. Nikki's fiancé, Detective Pierce Reed, is concerned she may be compromising the case. As she digs for answers during one of the most sweltering summers in Savannah's history, he also worries for her safety. Everyone involved seems to have secrets, from Blondell's old boyfriend and his fundamentalist, snake-handling in-laws to the cop who led the original investigation. And somehow, the events of that tragic night connect to Nikki's own fractured family. But now the killing has begun again. Is Amity's murderer still at large, or is this a new, darker danger? Soon Nikki will discover what really happened twenty years ago, but the answers may come too late to save her life. . .
Book 3 of Savannah Series. Nikki Gillette and Pierce Reed.